Touch up your outfits with some Balinese culture this season - Chloe Moss has created ChloBo to share her love of the beautiful island of Bali with the world. Each piece is crafted with high-quality Balinese Silver, and is designed to be mixed and matched with other pieces from the collection to create your own style. 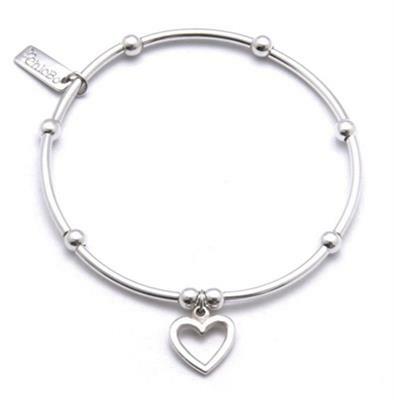 We love the open heart charm which hangs from this bracelet, letting you show off your romantic side while keeping up with contemporary design. It's no surprise that style icons like Pixie Lott are fans of ChloBo - it's irresistable!